Thanksgiving is just around the corner and that means hoards of people will be gathering together to celebrate the bounty of the season. It’s ambitious to hope that friends and family who have been quarreling for years will get along and will mend fences during this season, but that is not always possible. The truth is, those who have not spoken to each other for years will not feel obligated to talk again just because of Thanksgiving. Don’t add stress to your get-together. Invite only those who want to see and mingle with each other. Most of us have friends and family who for ethical reasons and religious backgrounds may be averse to certain foods. They may also have food restrictions because of cultures and faiths. Whatever the reason is, it is best to avoid adding that food to your meal plan. The last thing any host or hostess wants to do is kill someone over their cooking. 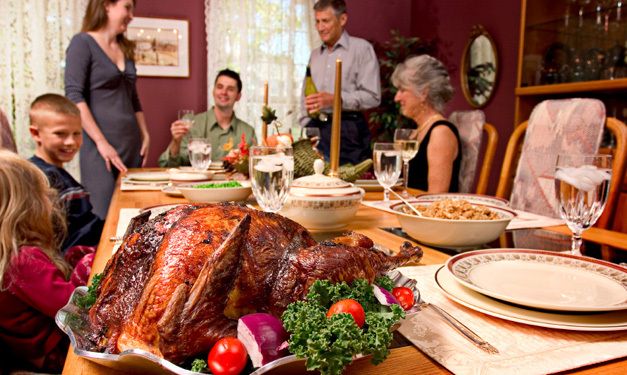 As soon as you receive confirmation that the guests will be attending, ask them about any food that may be forbidden. The same goes if kids are attending the party. Make sure that there is food there that’s ideal for kids. If some of your guests are vegans or vegetarians, simply prepare a number of dishes that will fit everyone. Even if you’re the one hosting the dinner, that doesn’t mean that you have to do everything by yourself. Many hosts end up frustrated because they try to handle every aspect of the celebration. Ask help from your family and friends by delegating certain tasks to them. They’ll be surely happy to lend a hand and you can even bond as a family or group of friends over the dinner preparation. This way, everything will get done and you won’t finish the night sitting on your kitchen floor and drinking a glass of wine. If children are attending, make sure that they have something interesting to do. They’ll easily get bored out of their wits when the adult conversations begin. What you can do is to create a playroom in a corner where the kids can gather and play. Make sure that the small area is packed with child-friendly activities such as color pens and coloring book, building blocks, puzzles, and many more. Ask your guests to bring plastic containers with them so you can give away the leftovers after the dinner unless you want to be burdened with all the food in the fridge and no time to finish them all. 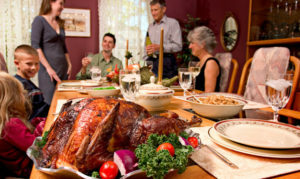 Most of the time, these foods just get stale and get thrown away a few days after Thanksgiving. Instead of doing that, divide the leftovers among your guests.